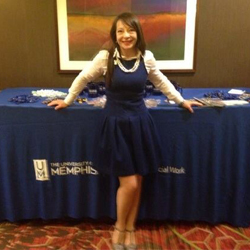 Elena Delavega, PhD, MSW is Associate Professor of Social Work at the University of Memphis. Her most recent project involves measuring attributions of poverty with the Blame Index, which she developed with Dr. Peter Kindle of the University of South Dakota. Elena also serves as Associate Director of the Benjamin L. Hooks Institute for Social Change and as founder and co-Director of the Social Welfare Research Consortium, SWRC.